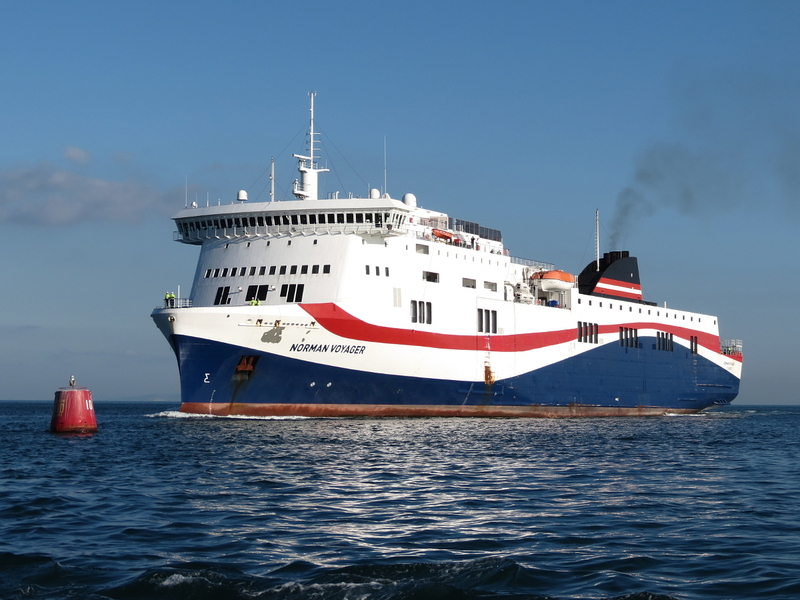 Sister Ships: Partenope, Trinacria, Stena Forwarder, Cartour, Eurostar Valencia,Eurostar Salerno, Golfo Aranci, Golfo Degli Angeli, Lagan Viking, Mersey Viking, Cartour Beta, Cartour Gamma, Borja, Borjas Dos, Watling Street, Scottish Viking, Akeman Street, Cartour Delta, Visemar One, Cartour Epsilon. August 18th 2006: Keel laid. October 9th 2008: Delivered to Fosse Way Shipping Ltd (Epic Shipping), London, England. 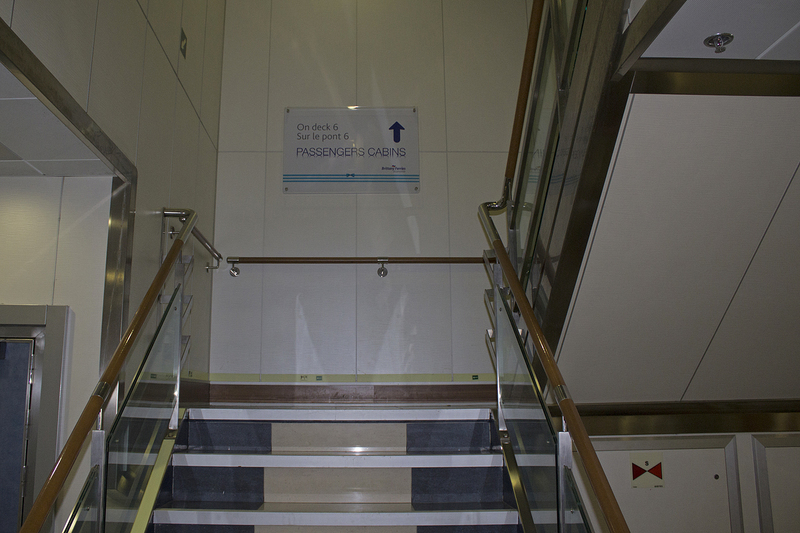 October 2008: Chartered to LD Lines, France. 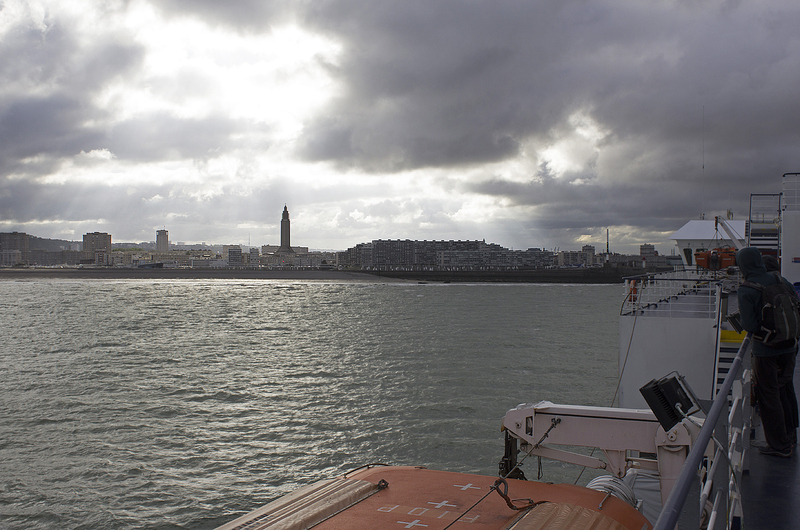 October 31st 2008: Arrived in Le Havre. 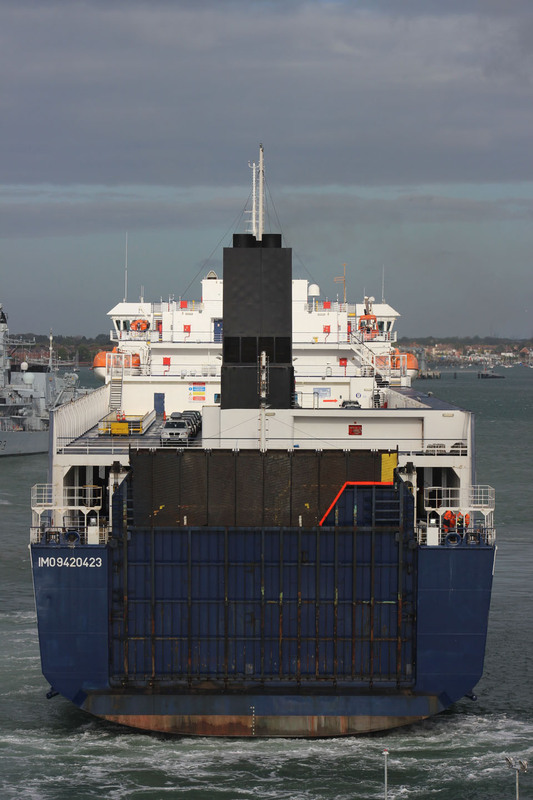 November 4th 2008: Sea trials to Portsmouth. 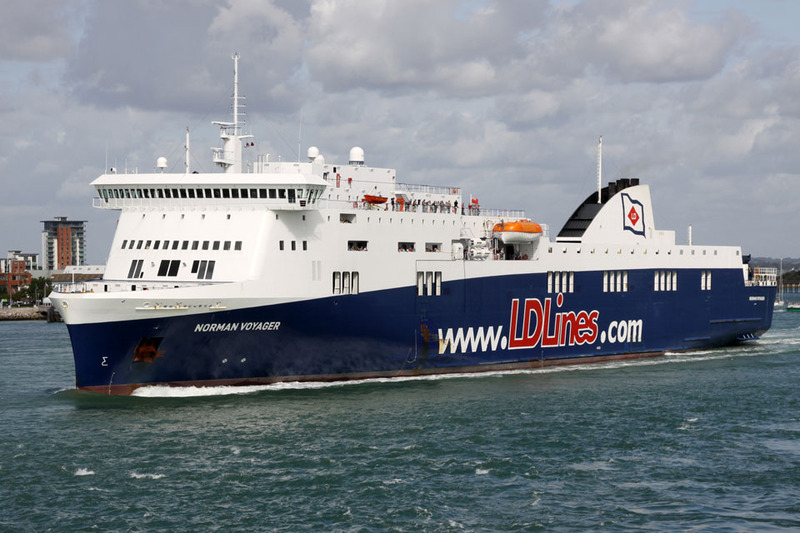 November 6th 2008: Inaugural service Le Havre – Portsmouth/ Le Havre – Rosslare. December 2008: Transferred to British registry. September 13th 2009: Final day in service for LD Lines and sailed to Falmouth for refit. 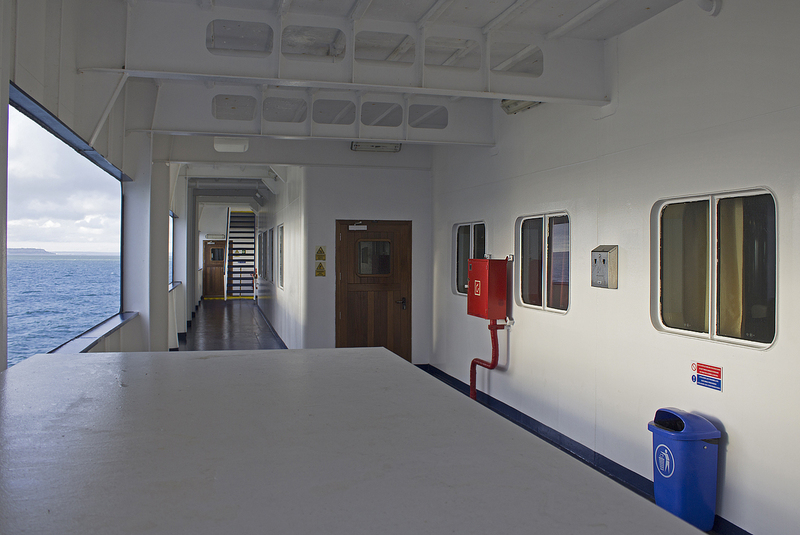 September 2009: Chartered to Celtic Link Ferries. 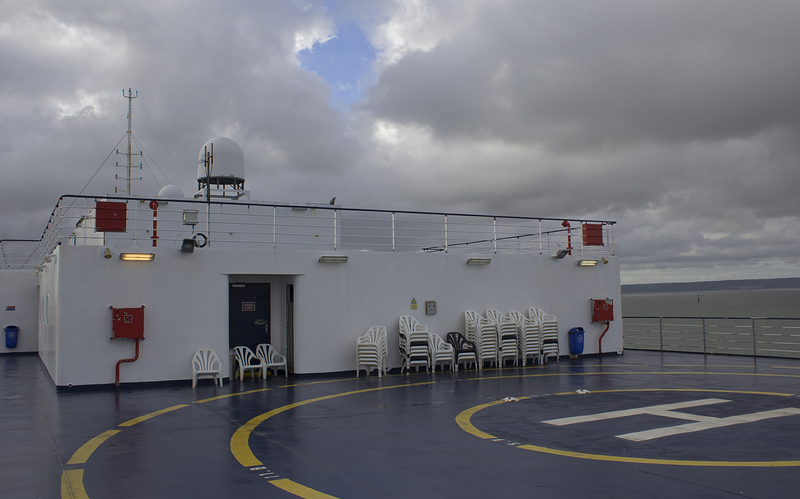 September 27th 2009: Grounded in Rosslare and sailed to Falmouth for inspection and repairs. 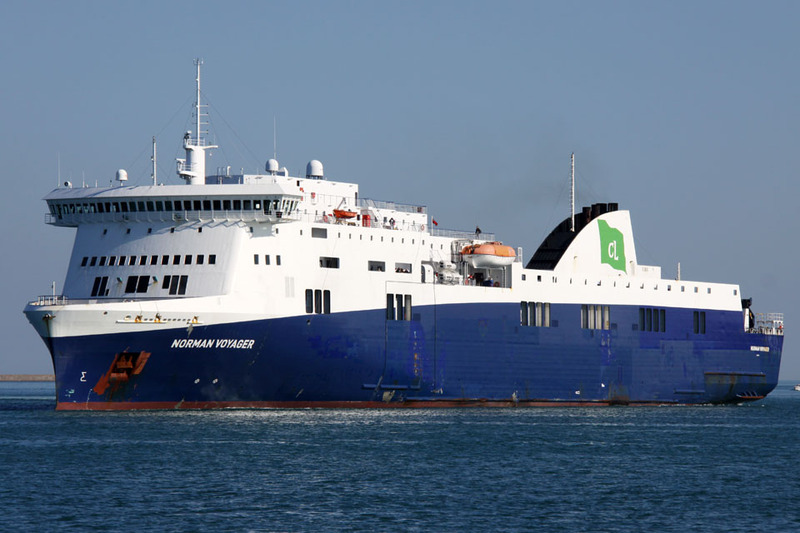 October 3rd 2009: Commenced services between Rosslare – Cherbourg – Portsmouth. 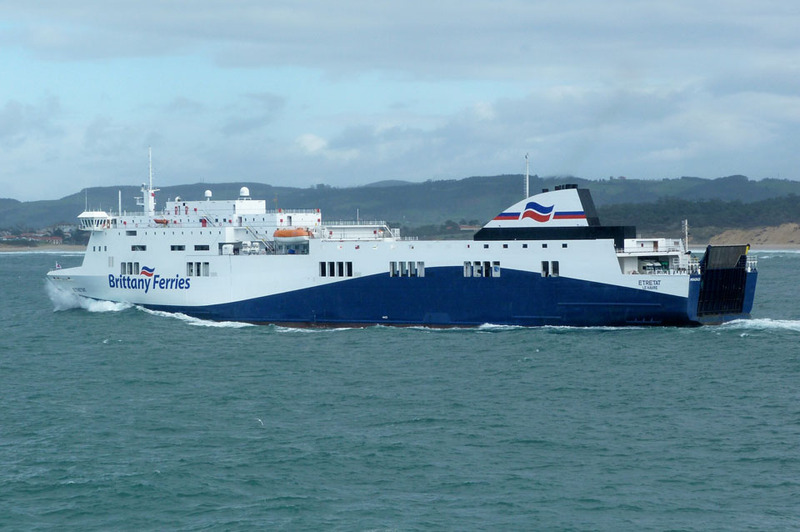 November 20th 2009 – October 16th 2011: Services between Rosslare – Cherbourg. 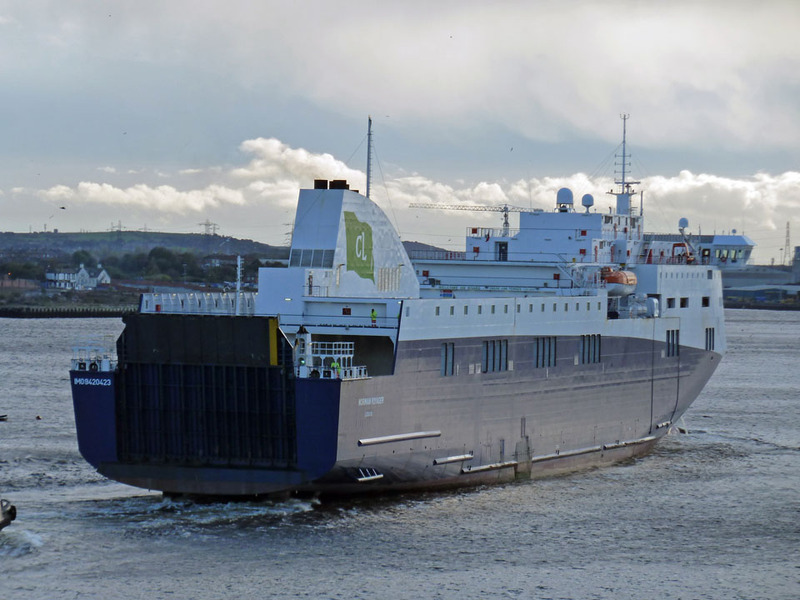 October 17th 2011: Charter to Celtic Link completed, left Cherbourg for the Tyne and refit. November 2011: Chartered to LD Lines. 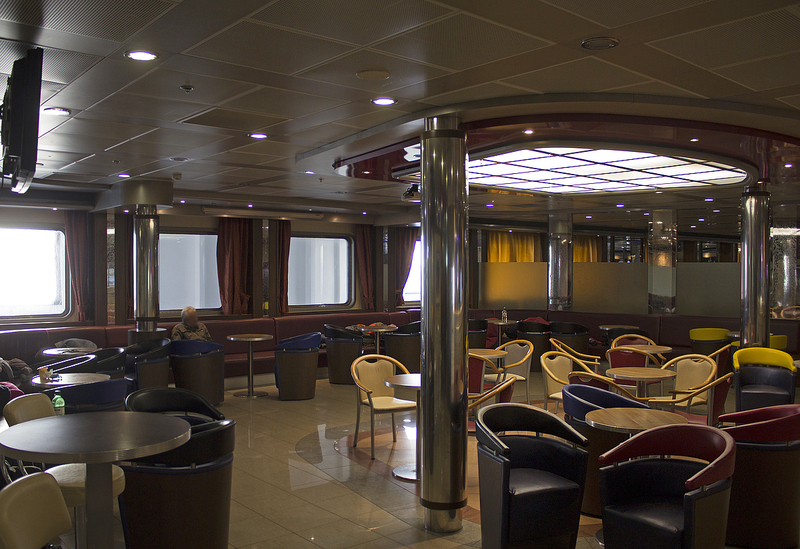 November 9th 2011: Services between St Nazaire – Gijon. 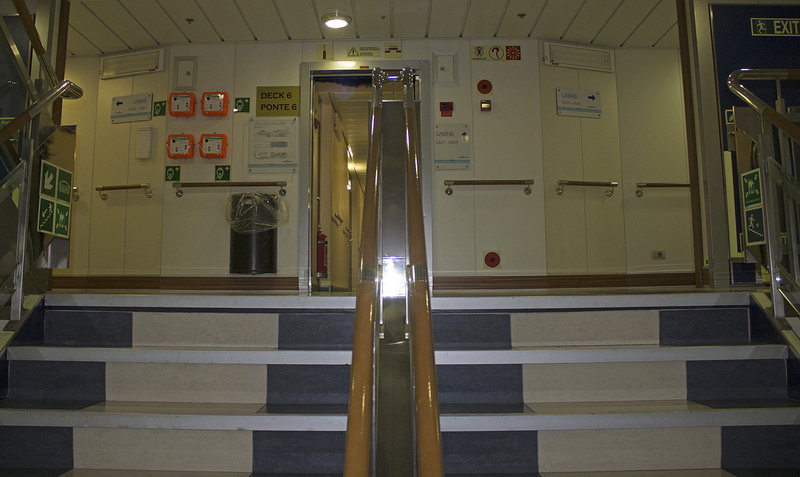 November 30th 2011: Left Montoir for Le Havre. 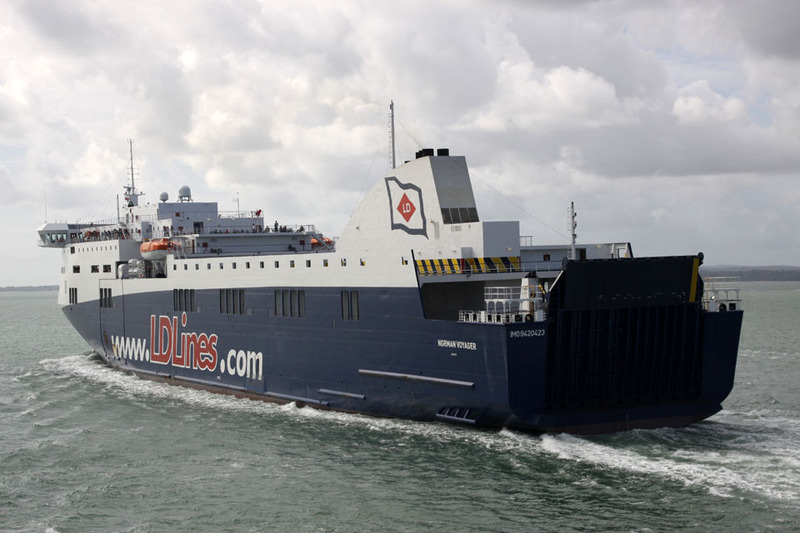 December 1st 2011: Commenced services between Le Havre – Portsmouth. 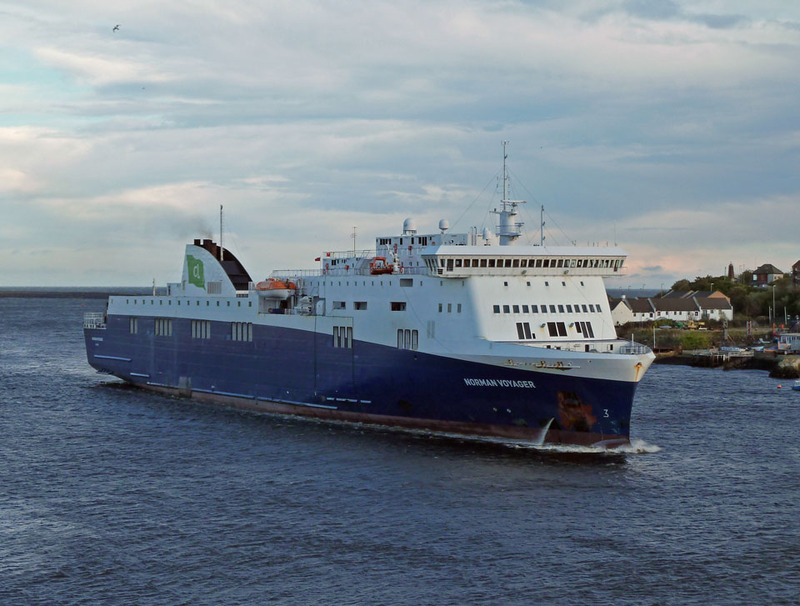 April 29th 2012: Sold to Stena RoRo, Gothenburg (Registered to Stena RoRo Navigation Ltd, Clydebank, UK). October 15th 2013: Conducted berthing trials in Poole. 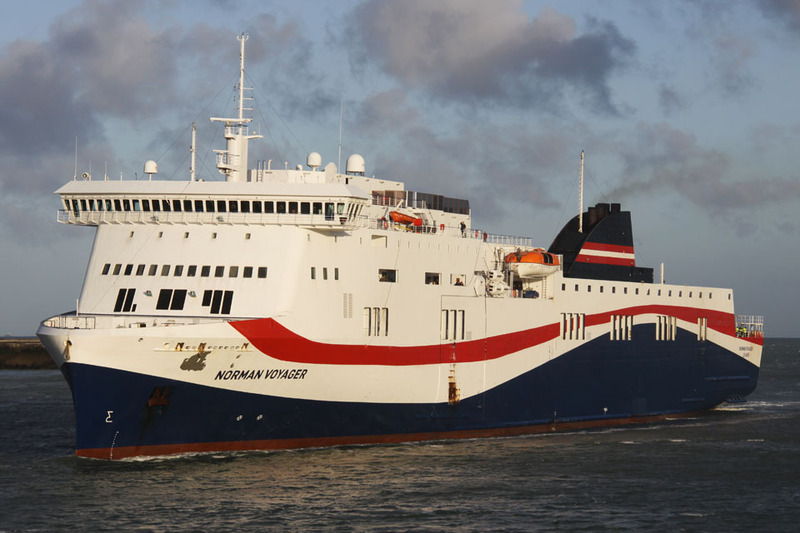 The visit was in preparation for a new service to be started by her sister ship Norman Asturias between Poole and Northern Spain in November. 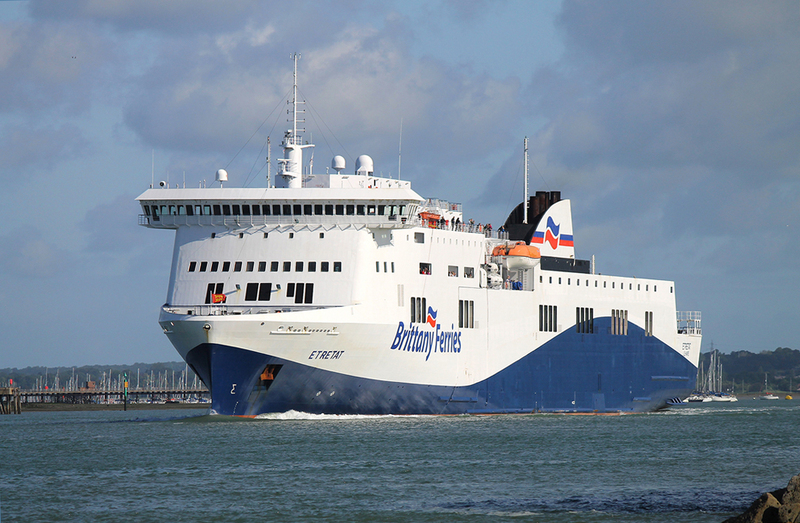 March 12th 2014: Chartered to Bretagne Angleterre Irlande B.A.I (Brittany Ferries) and renamed ETRETAT. 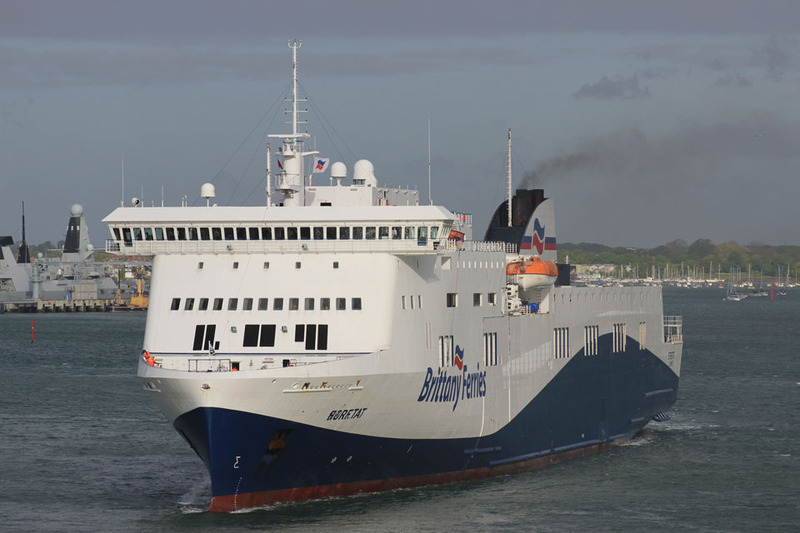 March 25th 2014: Commenced service between Le Havre – Portsmouth, Portsmouth – Santander under the Brittany Ferries ‘Economie’ brand. 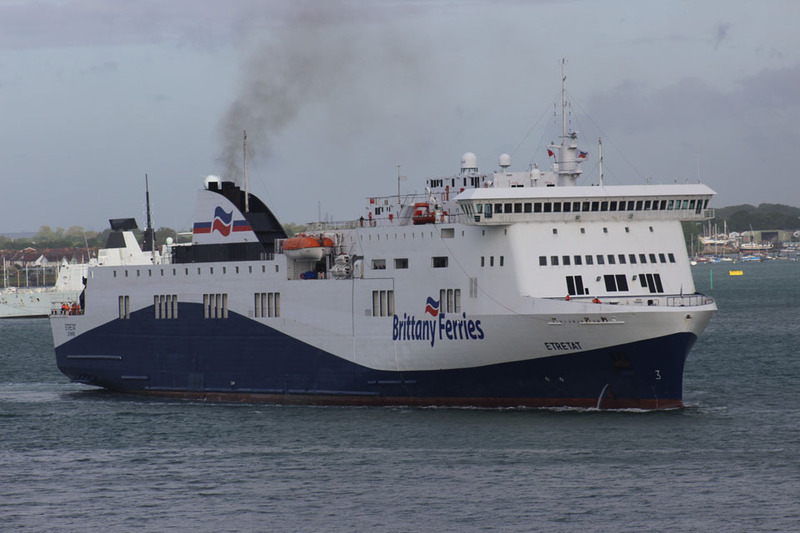 March 15th 2015: Departed Le Havre bound for Cherbourg and resumption of service from Le Havre/Cherbourg to Portsmouth. Owing to technical problems she will operate ‘freight only’ until May 2015. 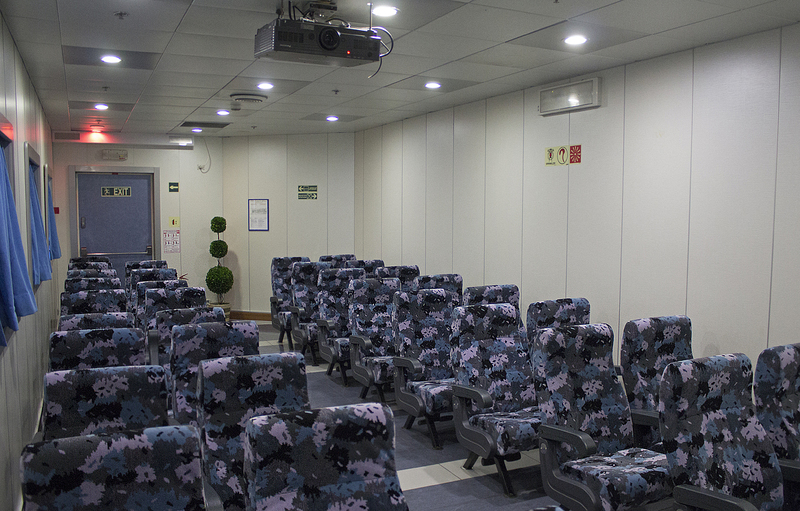 April 30th April – May 2015: Scheduled to undergo refit in Poland. 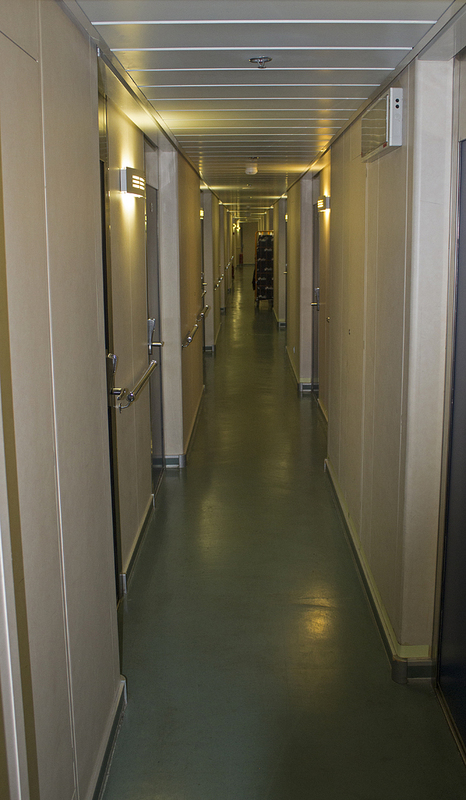 May 18th 2015: Departed Gdansk and following sea trials proceeded to Le Havre. May 21st 2015: Anticipated return Le Havre. 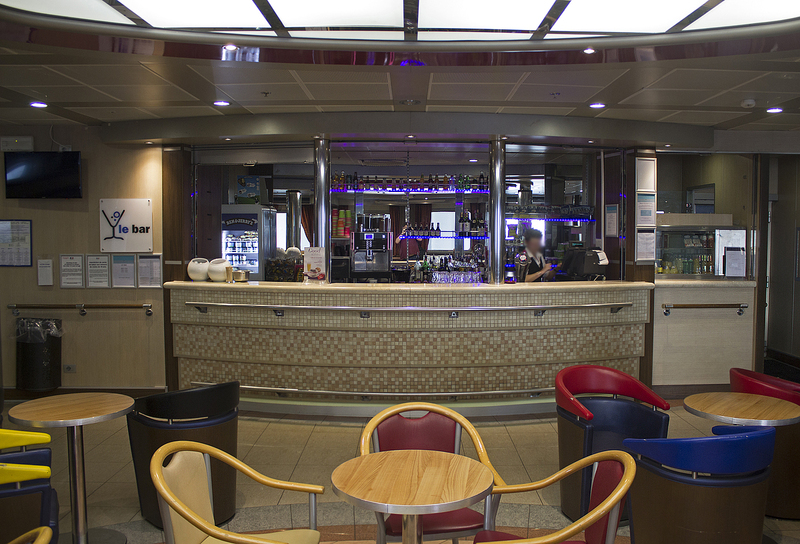 May 22nd 2015: Returned to passenger service between Le Havre/Santander and Portsmouth. 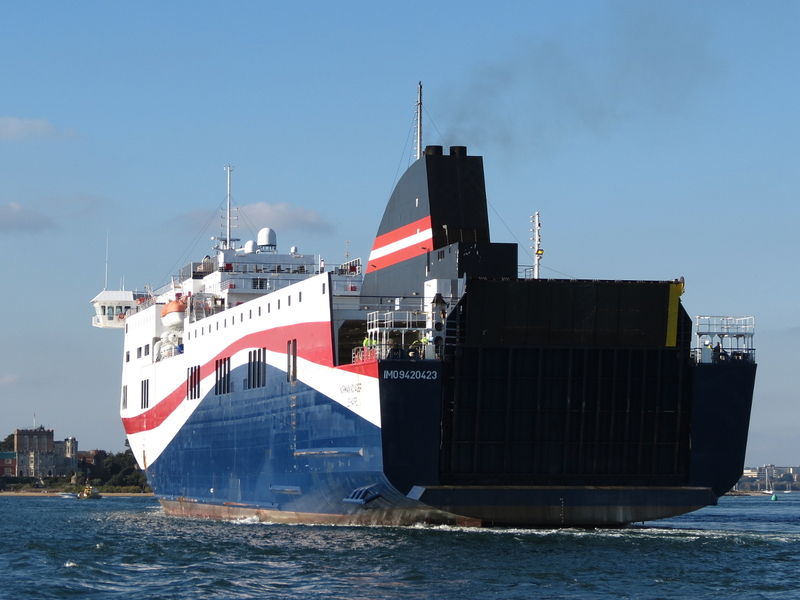 September 22nd 2015: Experienced technical issues on the approach to Portsmouth harbour. Escorted to her berth at the continental Ferry Terminal by the tugs SD Bountiful and SD Powerful. The evening return sailing to Le Havre was cancelled. September 23rd 2015: Returned to Le Havre in the early hours carrying freight only. 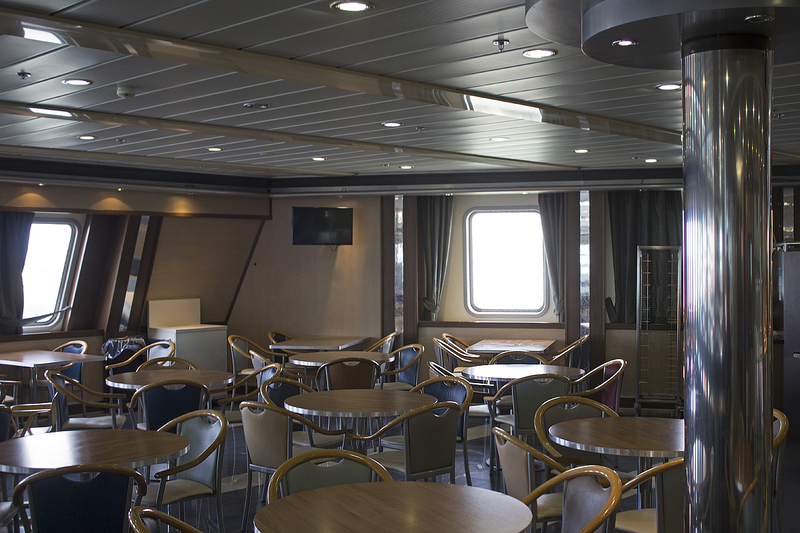 Remaining sailings for the 23/09/15 were cancelled. 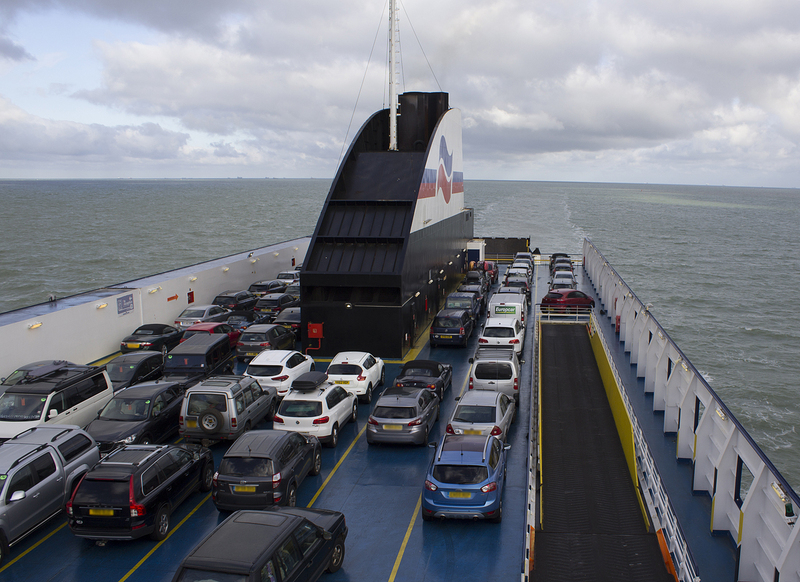 September 25th 2015: Following repairs resumed service between Le Havre and Portsmouth. 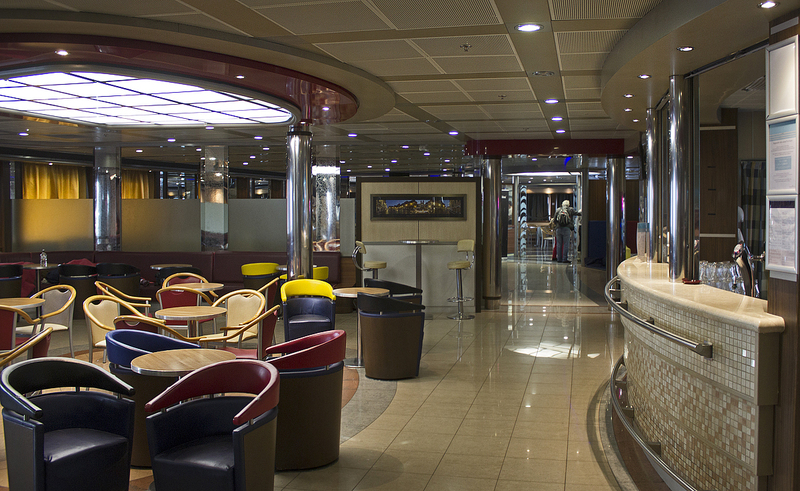 October 5th 2015: Sailings disrupted due to industrial action by port staff in Le Havre. 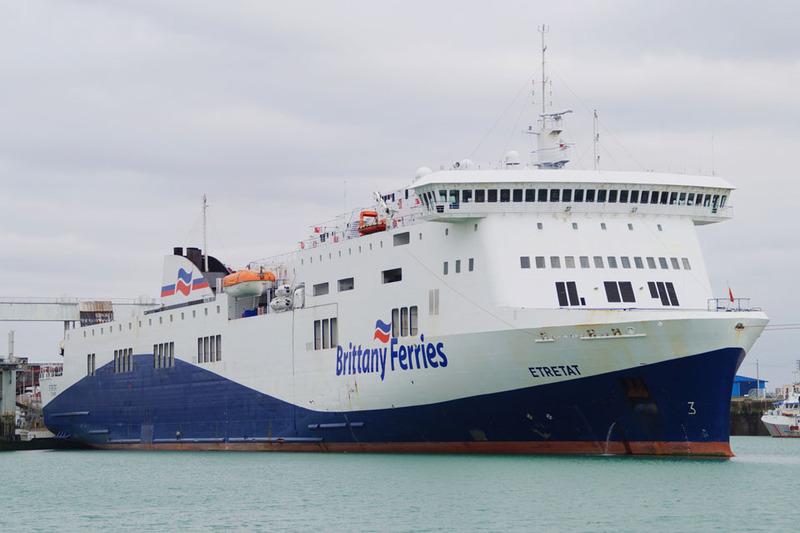 October 8th 2015: The evening sailing from Portsmouth to Le Havre was cancelled owing to industrial action by port staff at Le Havre. 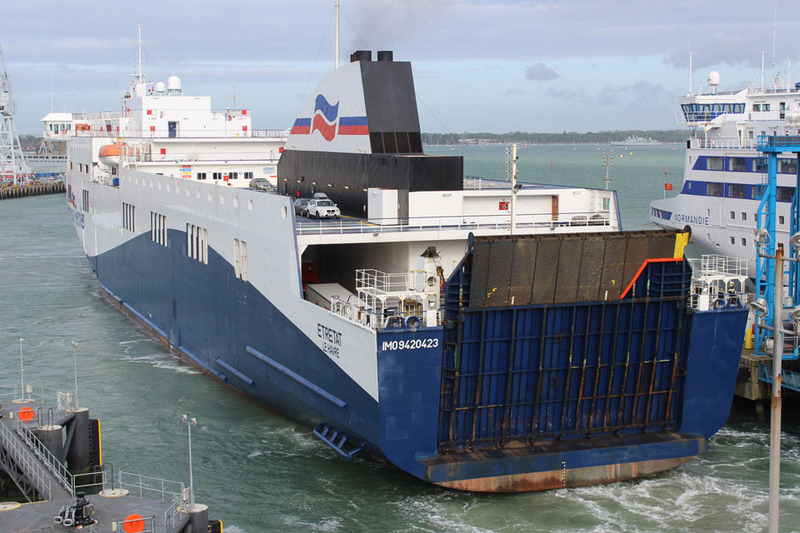 The vessel remained in Portsmouth and resumed with the 10:00 Portsmouth-Le Havre sailing on the 09/10/15. 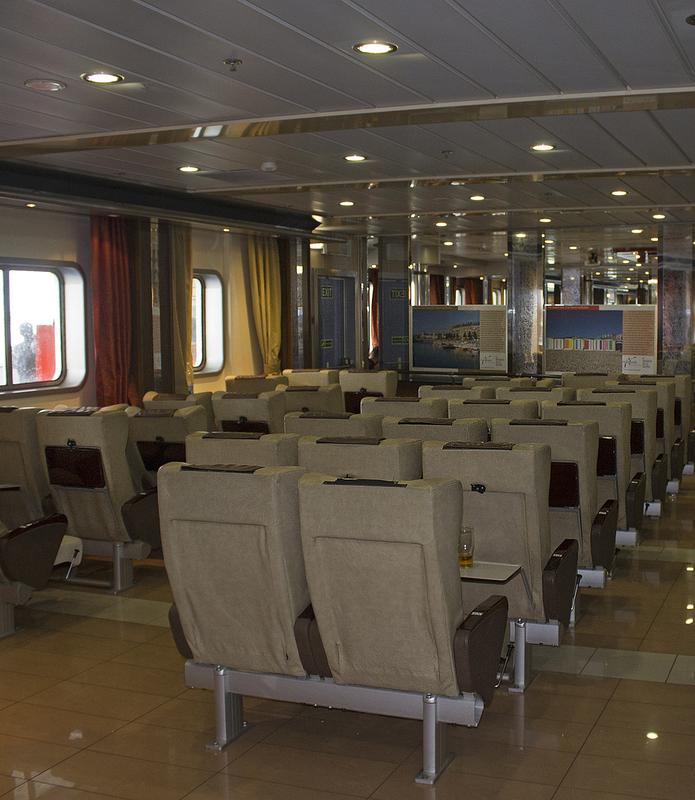 November 16th 2015: Sailings cancelled due to a technical issue. November 17th 2015: Following repairs, resumed service. 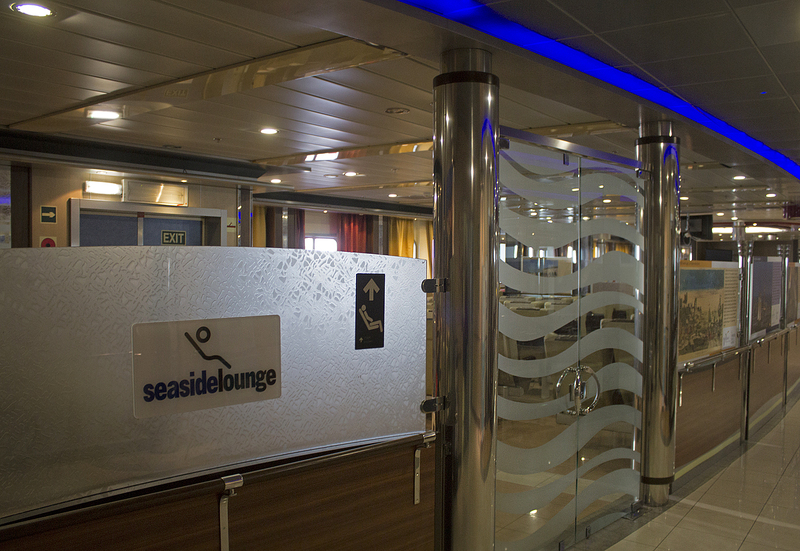 November 21st 2015: Sailings cancelled due to a technical issue. 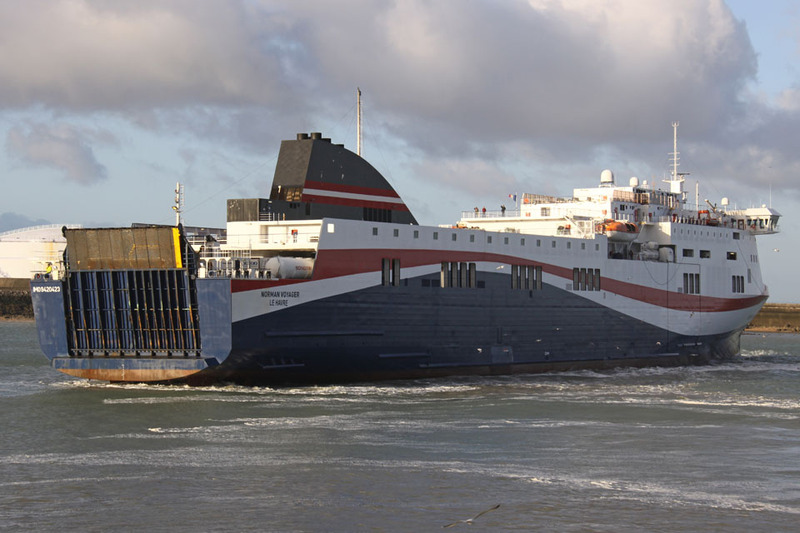 November 25th 2015: Resumed service between Le Havre and Portsmouth. 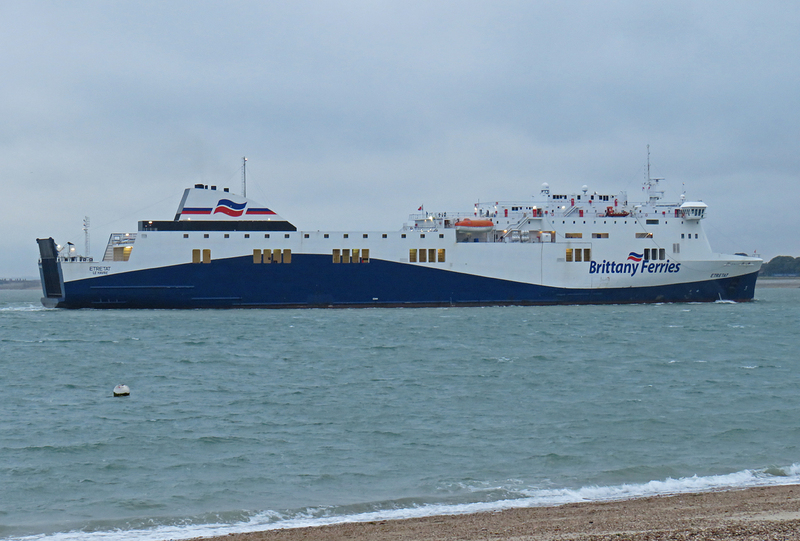 November 30th 2015: Owing to severe weather conditions all sailings of the Etretat were cancelled (16:15 Le Havre to Portsmouth and the 23:15 Portsmouth to Le Havre). 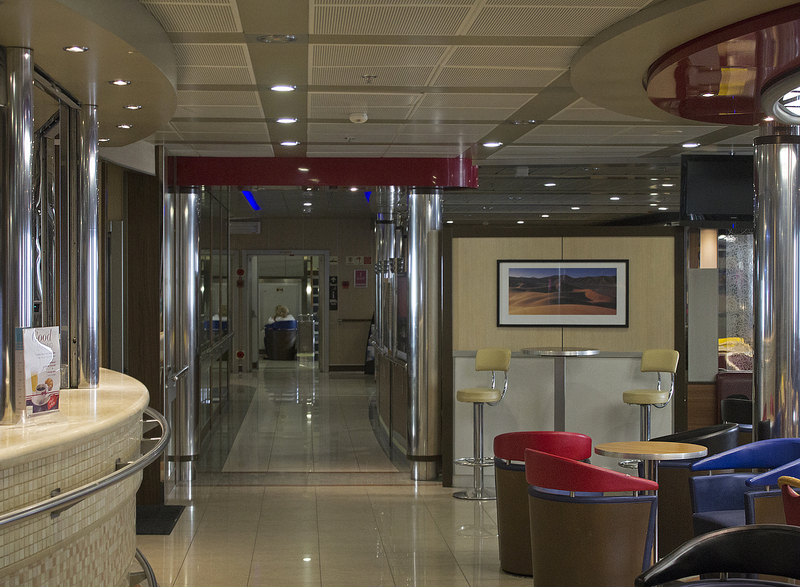 December 2nd 2015: Sailings disrupted due to industrial action at the Port of Le Havre. 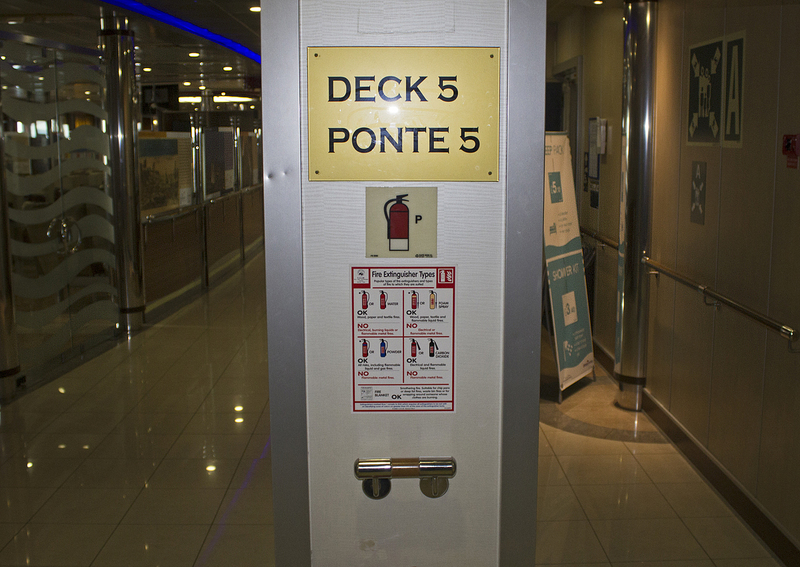 December 30th 2015: Due to a technical problem all sailings cancelled. 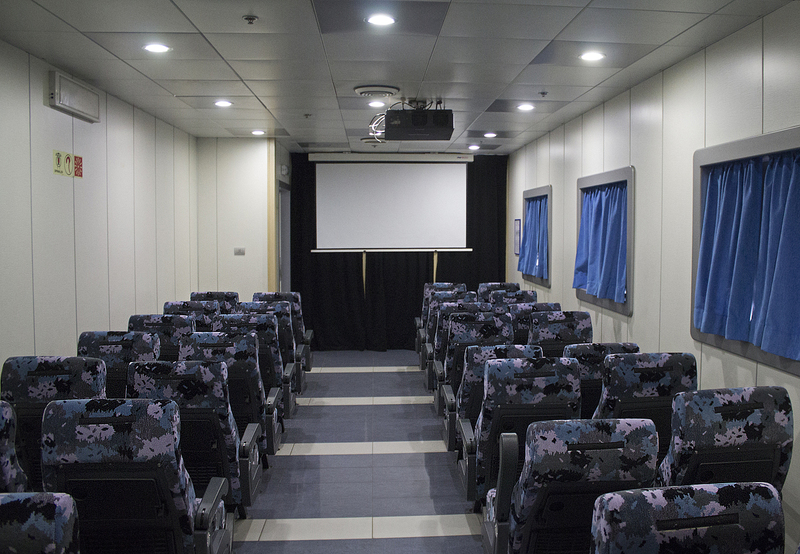 Anticipated return to service is on the 02/01/16. 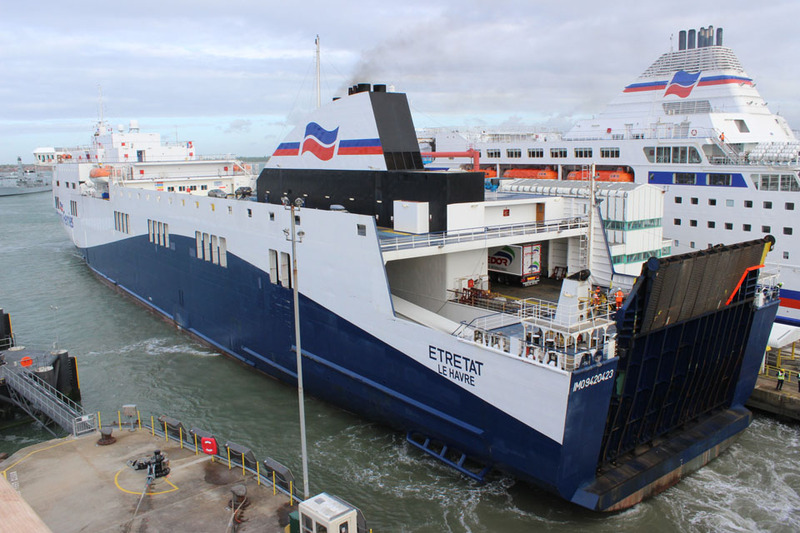 January 2016: Etretat due to run exclusively on the Le Havre to Portsmouth ‘Economie’ service with the Baie de Seine covering the ‘Economie’ crossings to Spain. 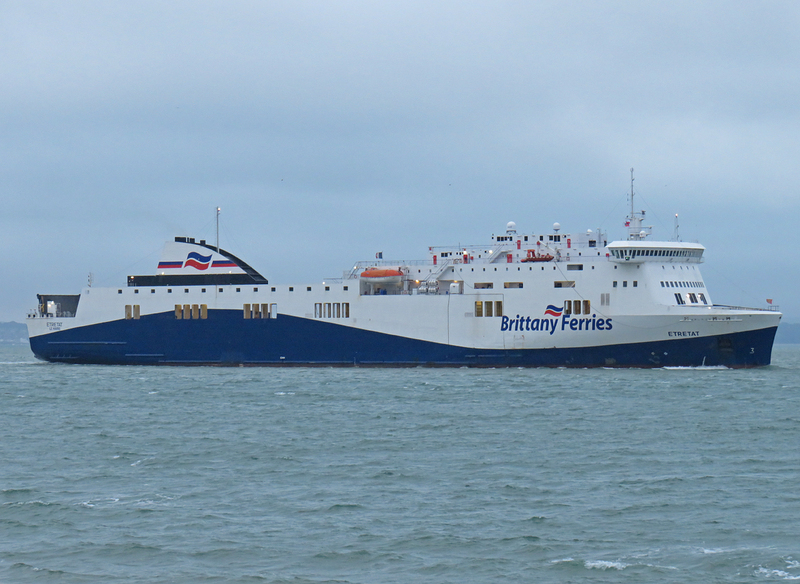 January 2nd 2016: Resumed service between Le Havre and Portsmouth. 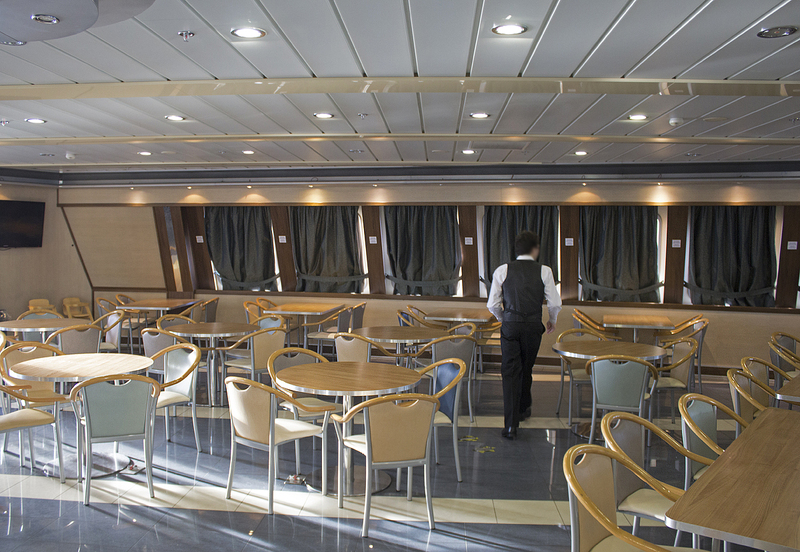 February 8th 2016: Sailings cancelled due to extreme weather conditions in the English Channel. 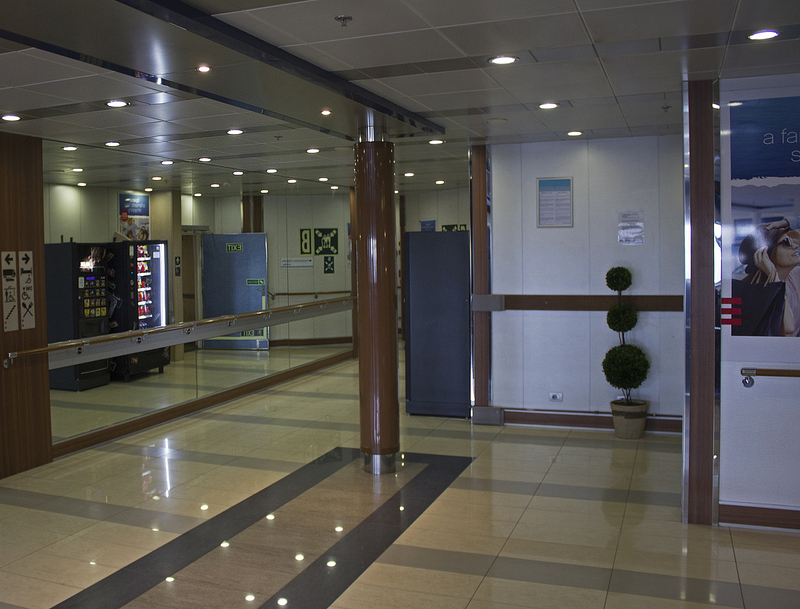 March 8th 2016: Sailings cancelled owing to industrial action at the Port of Le Havre. March 9th 2016: Resumed service. 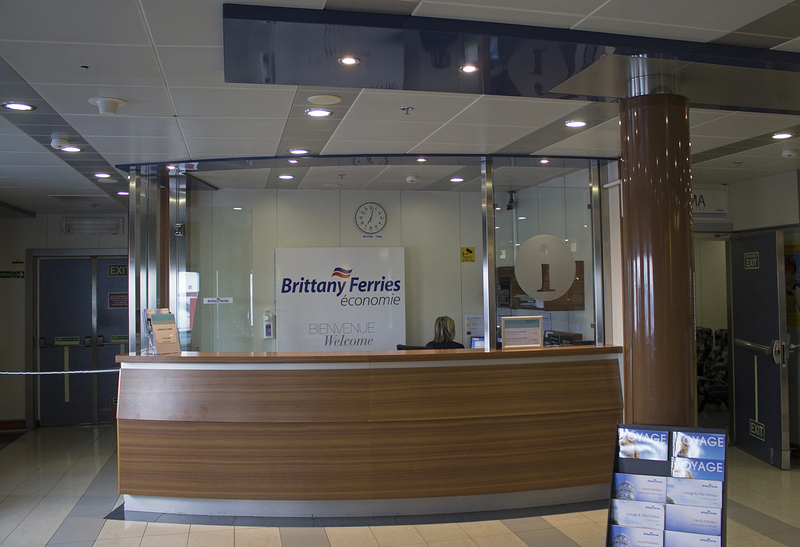 March 23rd-24th 2016: Sailings cancelled owing to industrial action at the Port of Le Havre. March 29th 2016: Sailings cancelled owing to industrial action at the Port of Le Havre. April 27th-28th 2016: Sailings cancelled owing to industrial action at the Port of Le Havre. 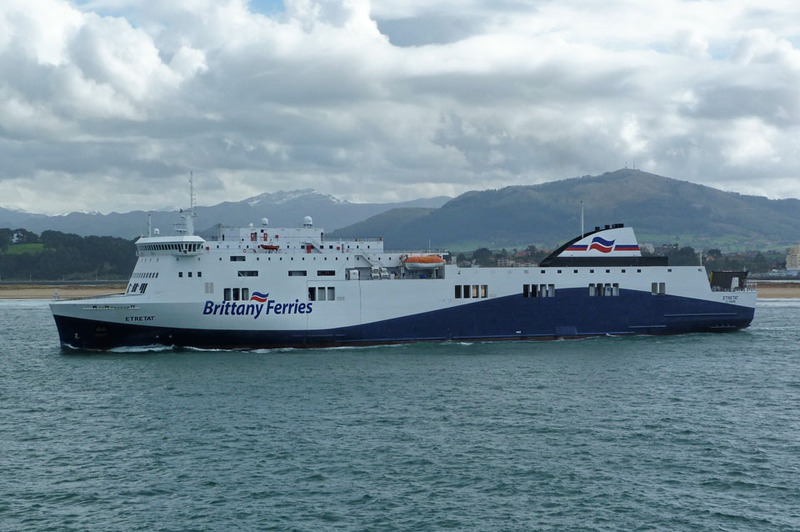 April 29th-30th 2016: Operated Portsmouth – Santander – Portsmouth to cover for the dry docking of the Cap Finistere. 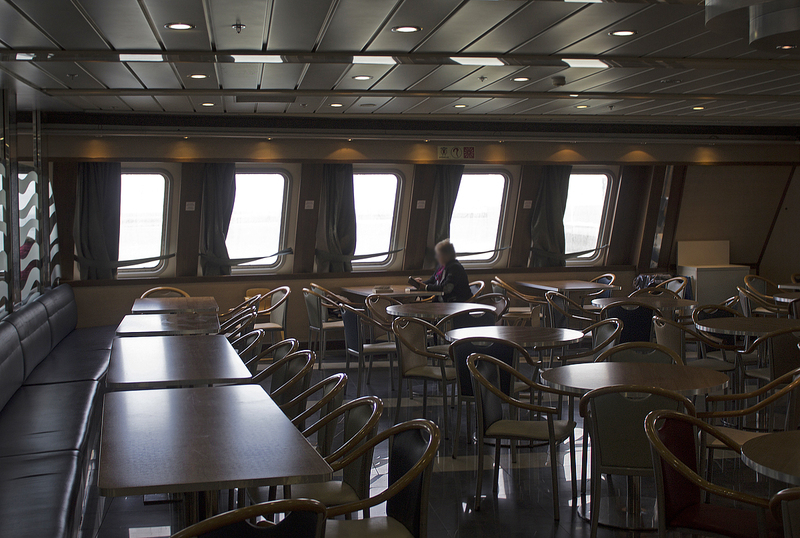 May 1st 2016: Returned to the Portsmouth-Le Havre service. 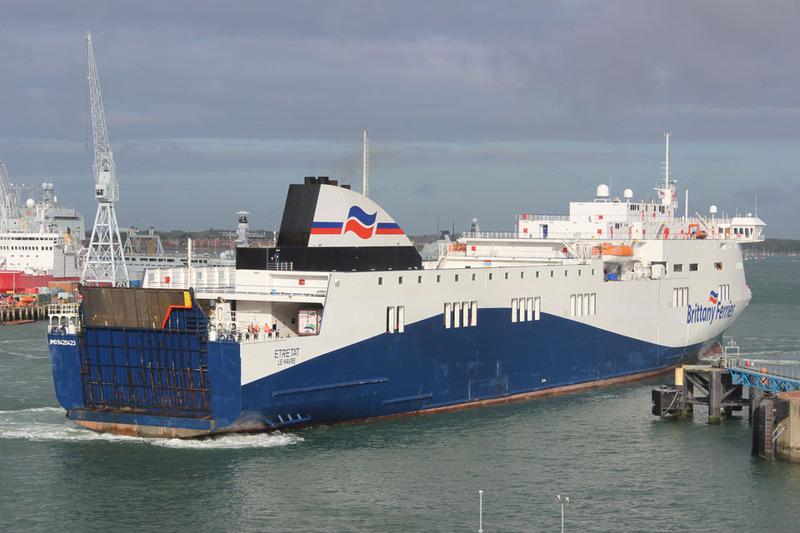 May 6th-7th 2016: Operated Portsmouth – Santander – Portsmouth to cover for the dry docking of the Cap Finistere. May 8th 2016: Returned to the Portsmouth-Le Havre service. May 17th-19th 2016: Sailings cancelled owing to industrial action at the Port of Le Havre. May 25th-26th 2016: Sailings cancelled owing to industrial action at the Port of Le Havre. 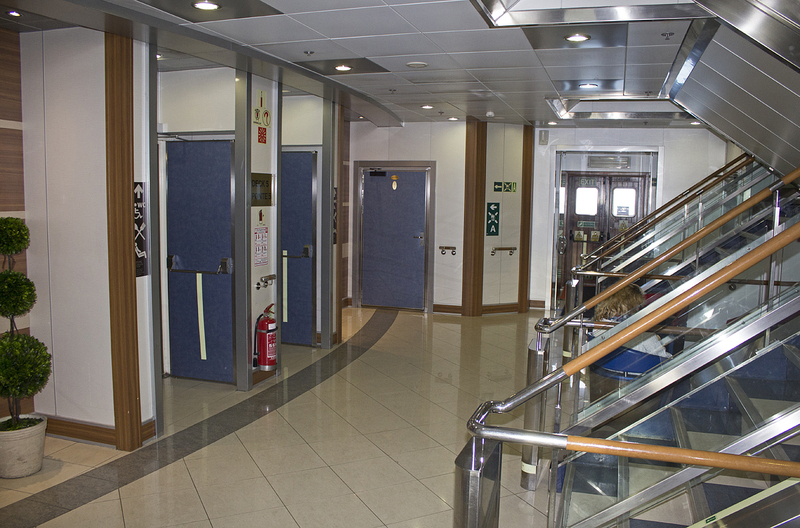 July 30th 2016: Sailings cancelled due a technical problem. May 14th 2017: Sailings cancelled due to a technical issue. October 11th 2017: Completed service on the Le Havre-Portsmouth pending annual overhaul/refit. October 12th 2017: Departed Le Havre for Gdansk, Poland. October 15th 2017: Arrived in Gdansk for annual overhaul/refit which was planned to take around two weeks. Owing to further work being required this was delayed by a further two weeks. November 17th 2017: Departed Gdansk for Le Havre. November 20th 2017: Arrived in Le Havre to resume service between Le Havre and Portsmouth. All information is believed to be correct and no responsibility is accepted for any errors or omissions. All items included in this article are subject to © copyright. 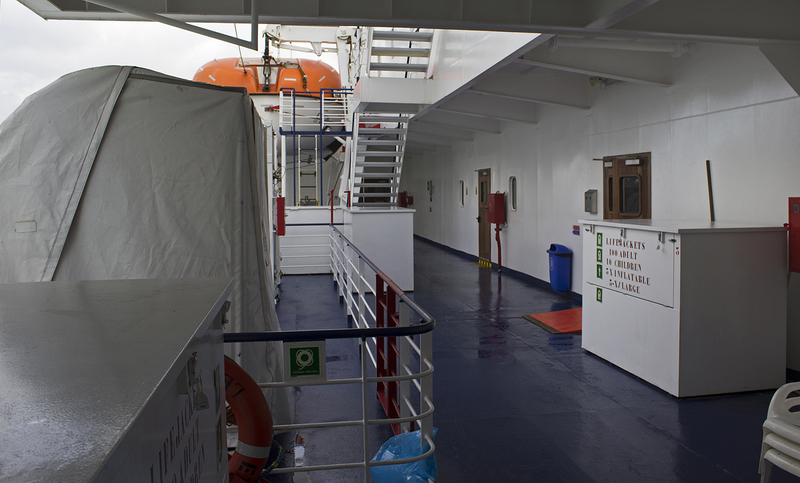 We would like to take this opportunity of thanking: Carsten Dettmer, Paul Cloke, Kevin Mitchell (Maritime Images), Nicolas Levy, Dan Hall (Flickr), Ken Lubi, Prieto and Andreas Wörteler for their assistance in producing this feature.